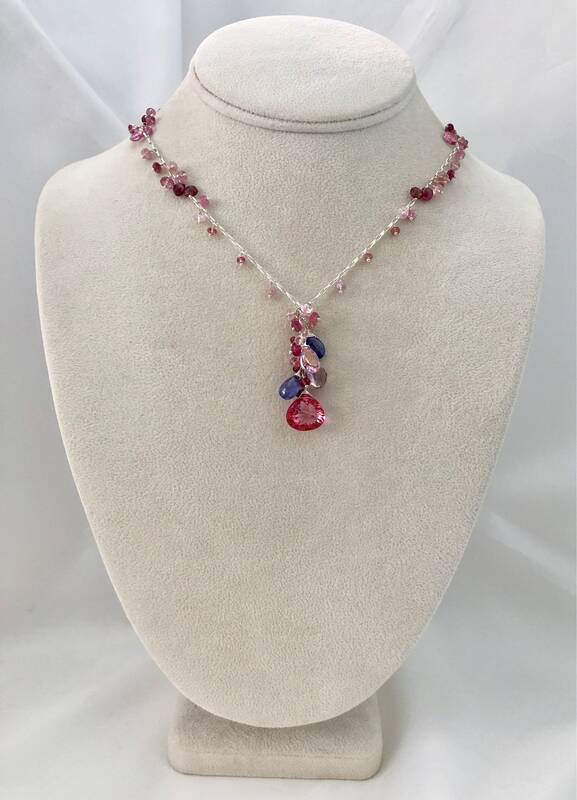 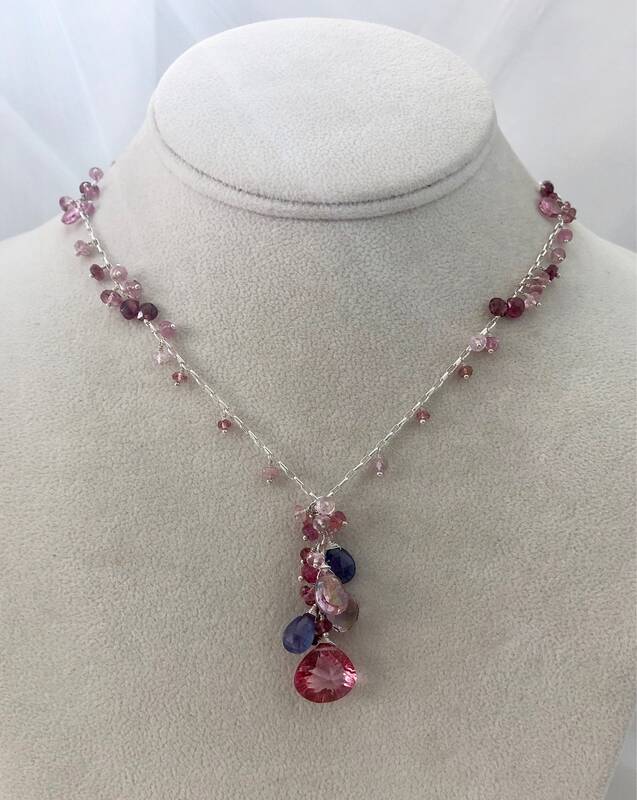 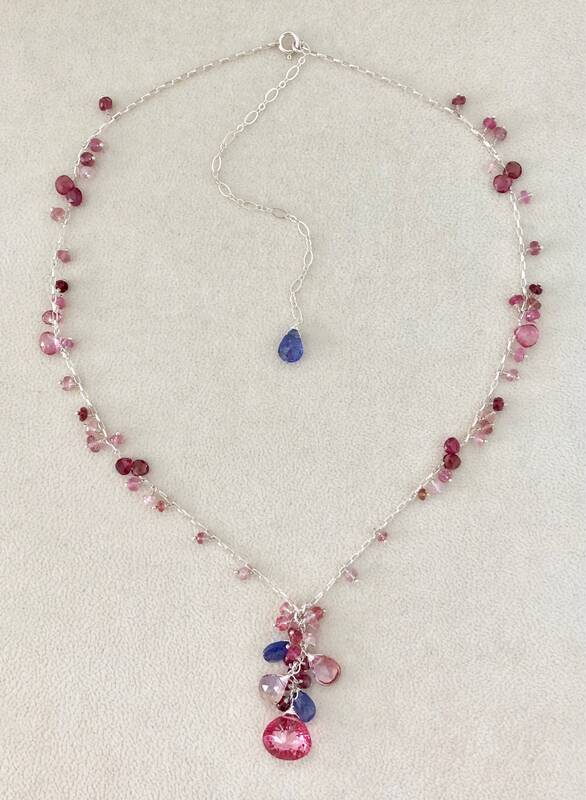 This pendant necklace consists of a lovely mystic rubellite pink topaz paired with tanzanite and ametrine. 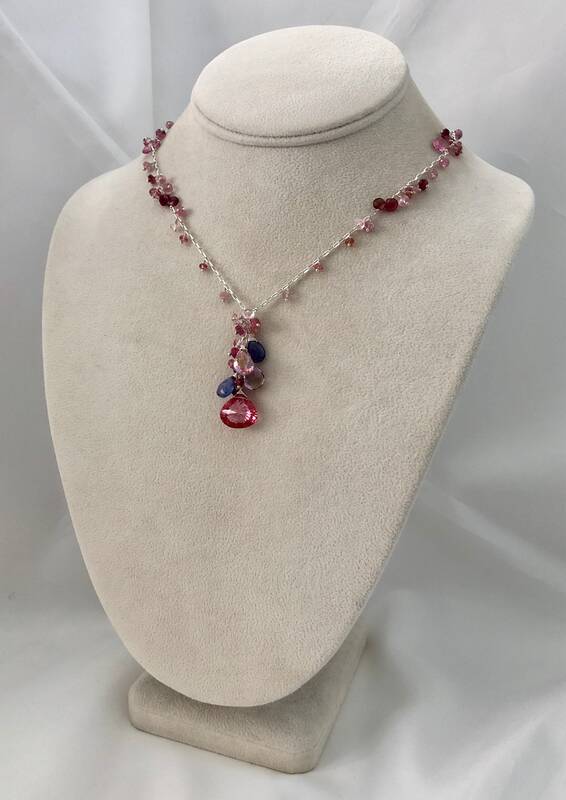 This focal opal measures approximately 14 mm. 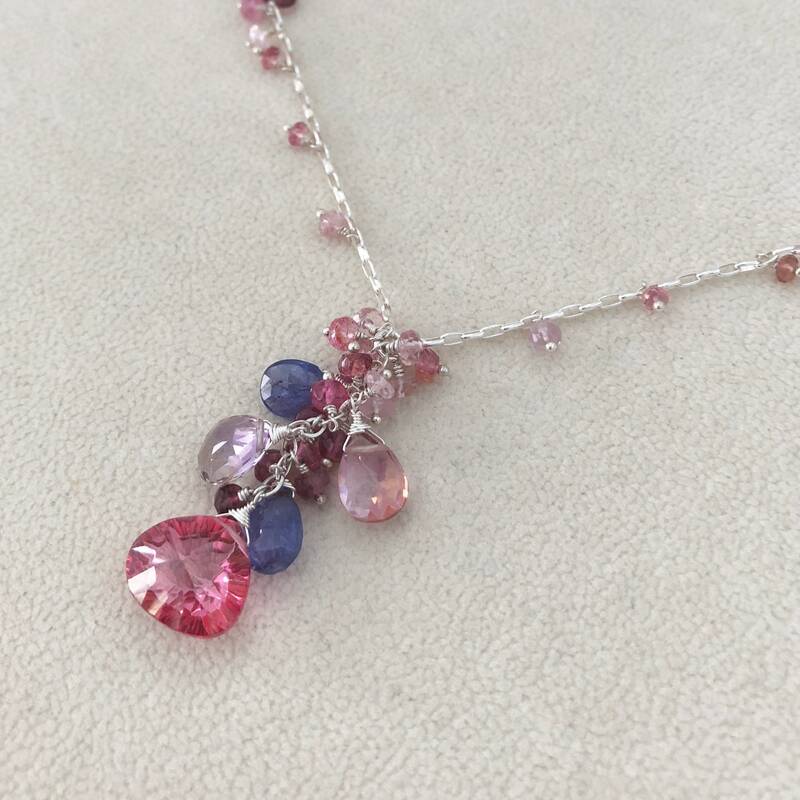 Small gemstones of pink tourmaline and mystic pink quartz complete the design. 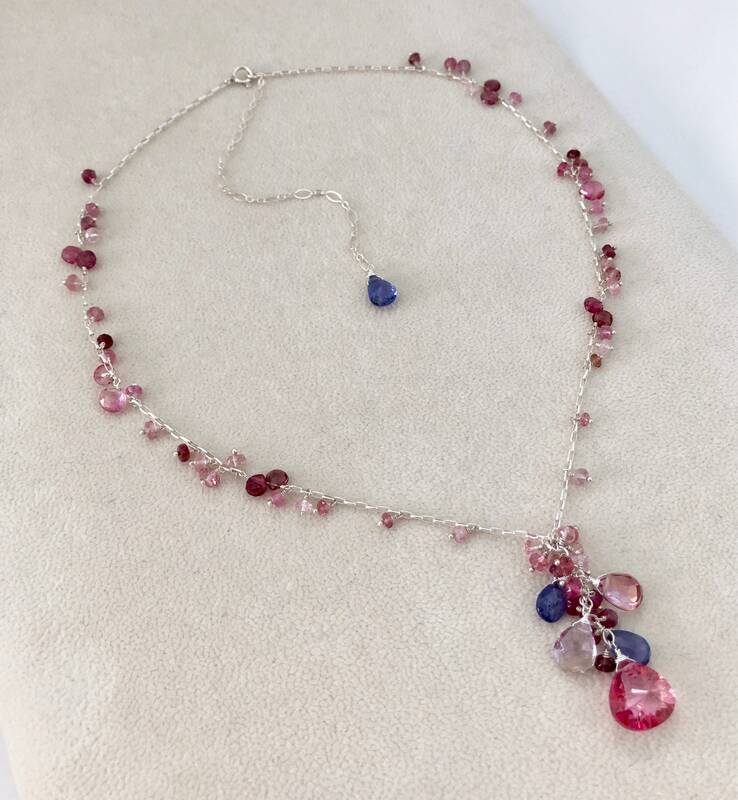 Exceptional gemstones with excellent faceting and polish are used to create this necklace. 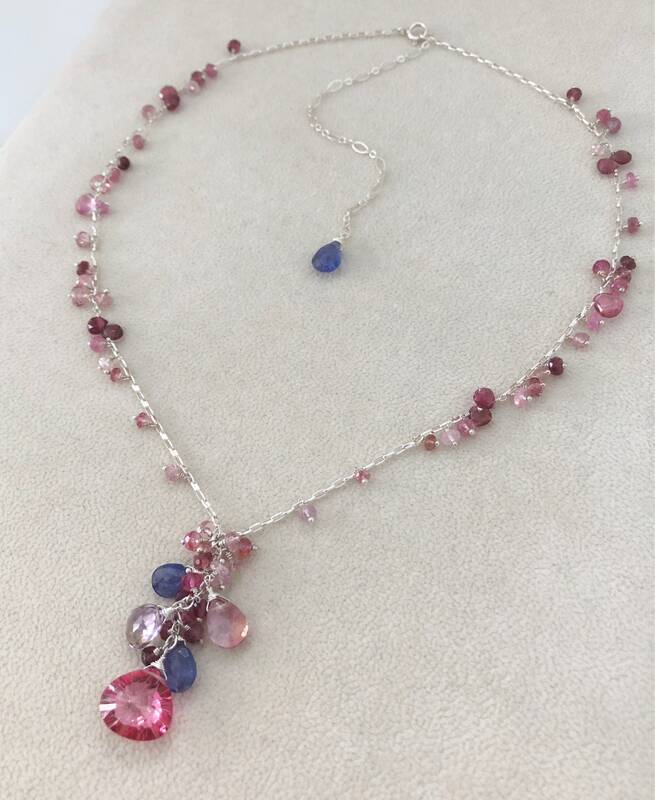 This necklace is finished in sterling silver and measures approximately 17 to 21-inches long with the 4-inch extender. 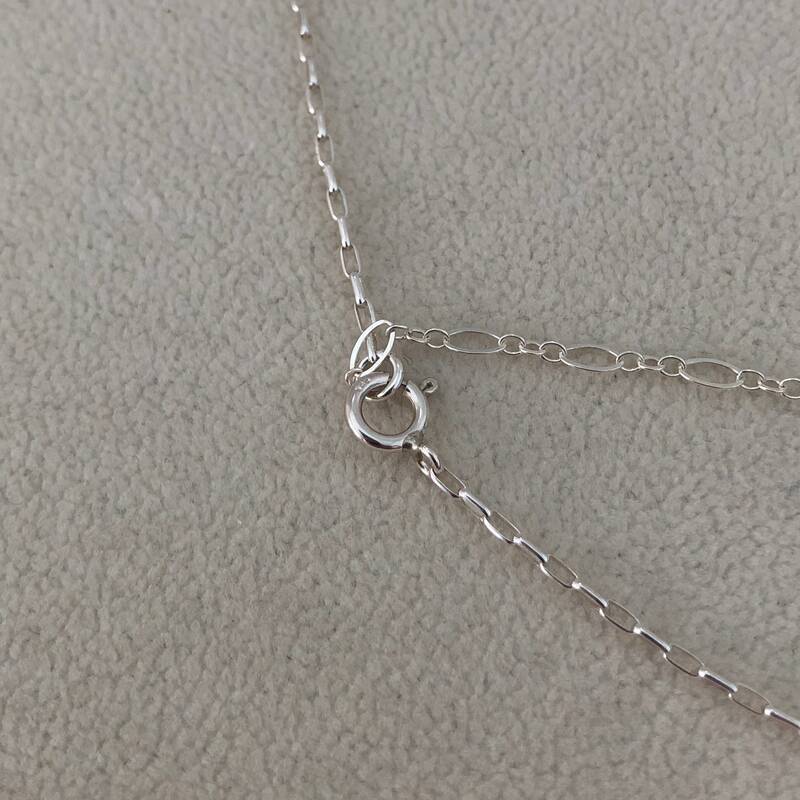 The pendant falls approximately 1.5-inches from the necklace.